Hellooooo... Just popping in to share some quiltiness on this fine Monday evening. I finished this cutie nearly 4 months ago but it got lost under a stack of other quilts. I finally excavated it to photograph and share with you all. I ADORE this little baby quilt and am thrilled with how closely it matches the inspiration. It was inspired by a rug that I had seen and pinned to one of my Pinterest boards. Do you all use Pinterest? I don't get on there too often because when I do, I find that I've lost a couple of hours and feel like I need to redecorate my entire apartment. Absolutely beautiful! A little different spin than some of your others which makes it even more fun! Love, Love, LOVE! I LOVE all of your quilts! LOVE!!! I love this quilt! 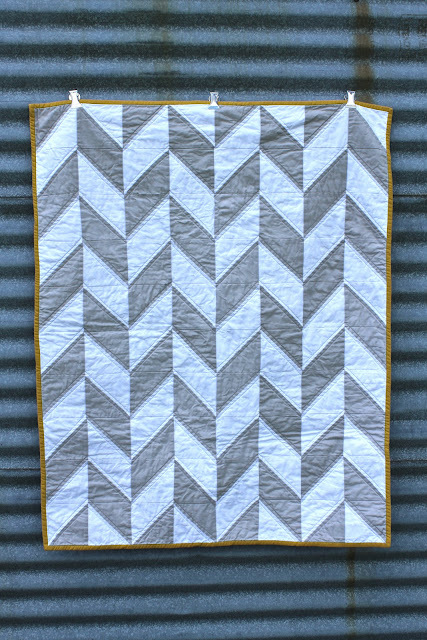 Herringbone is maybe one of my favorite patterns, and lately I've been tempted to make a herringbone quilt. Yours is beautiful! I'm with Katie: I love all your quilts and this is no exception. Love the contrast of the herringbone on the front and the flowers on the back. Another example of your great eye for putting the right fabrics together. Another great quilt! Love the herringbone pattern. I think I just found my inspiration for my new blanket I'll be sewing! Love that backing too! Love the quilt, it's very striking and the 40's fabric is the bomb. Yes, I'm hooked on Pinterest. Right now I can win free fabric, if I get enough repins on this: http://pinterest.com/pin/134193263867966800/ Wish me luck! it's such a totally gorgeous quilt, everything about it is simply perfect!! This is beautiful! Do you sell these? I keep pinning all these beautiful solid color quilts, then i realized the pictures are all taken on the same ladder... DING same quilter. I love your quilts, you have a great eye for color and contrast. oh, wow!! this is fantastic!!! simple and lovely!! Would you share where you got this pattern? 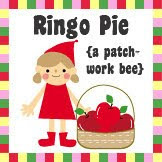 Or - how you made it? LOVE IT! Would be great for our new nursery! 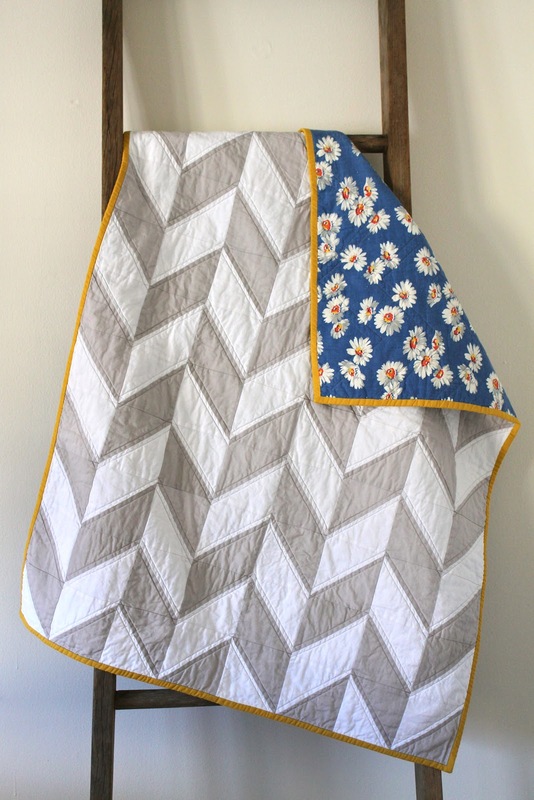 Be still my heart, this quilt calls to me! I'm currently planning a quilt with all solids and it never even occured to me to use a print on the back. Thanks for the inspiration! Yours is lovely! I love this quilt! are you planning on selling it or could I get the pattern from you? This quilt is so successful: the colors, the proportions, the patterns. Very lovely. I'll be giving this a go! Thanks for the inspiration! 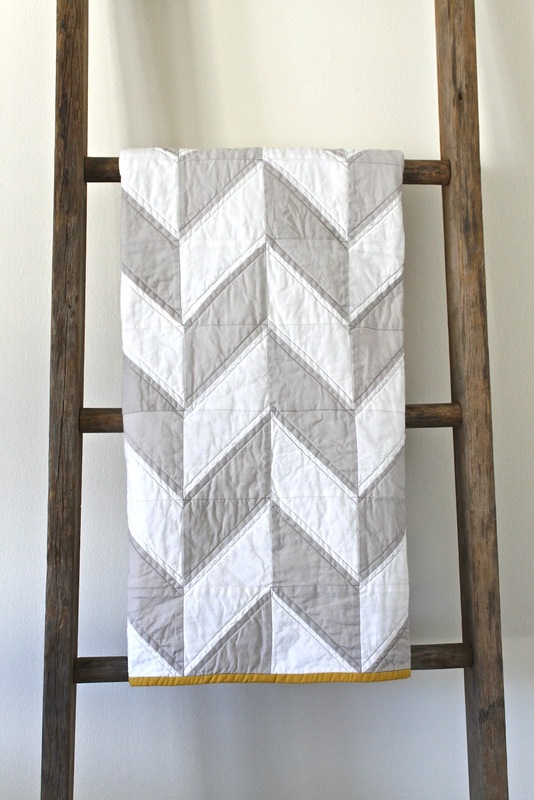 Where did you get the ladder/quilt rack? What a fabulous way to display the quilt! I would love to know where you got this pattern, too. This one is different than other ones I've seen before. It looks simple, though. I'd love to try it. Great job! -I did not use a pattern for this quilt. I figured out my design using half-square triangles, using the rug I linked to as my inspiration. -I won the ladder at an auction a couple of years ago...so glad I did! -Yes, I sell my quilts...well, most of them. You can find a link to my shop in the sidebar or use my blog name in your preferred search engine and it should come up. Are you selling this? Where do I buy a quilt like this? What are the solid colors on this quilt? Oh, I fell in love with your quilts, but this is my favourite! Your quilts are gorgeous! Wish I could learn a few tricks from you! I love this quilt! I've seen the front on Pinterest several times, but this was the first time to link to the blog and see the fun fabric on the back. I love the contrast of the soft gray and white and then the fun floral blue. This turned out striking! Love the two color tones!